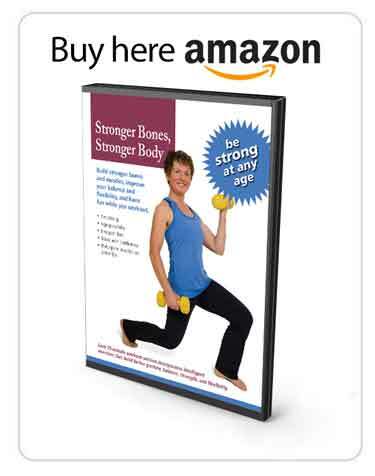 We have ample research demonstrating that weight-bearing exercises can help build bone density and quality. 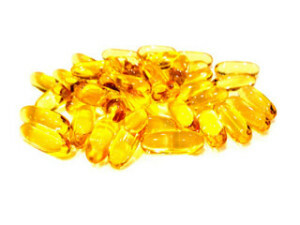 In addition, the health benefits of Omega 3 supplementation have been well documented. But do researchers know if exercise coupled with Omega 3 supplementation yields better Bone Mineral Density (BMD) improvements compared to either exercise alone or Omega 3 supplementation alone? 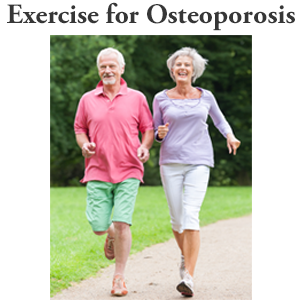 A new study, Long-term aerobic exercise and omega-3 supplementation modulate osteoporosis through inflammatory mechanisms in post-menopausal women: a randomized, repeated measures study, demonstrates that marrying an osteoporosis exercise program with omega-3 supplementation delivers superior results in post menopausal women when compared to either exercise alone, or omega 3 supplementation alone. The study compared 24 weeks of aerobic exercise to the same amount of exercise plus Omega 3 supplementation and it’s effect on bone in healthy post-menopausal women. 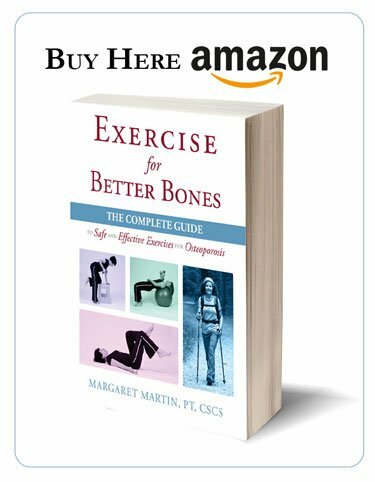 The findings were that the women who took the 1000 mg of Omega 3 along with exercising were able to build bone while the other groups did not. This is very significant for my clients. I am going to be more diligent about encouraging the use of Omega-3 along side their prescribed exercise program. One thousand (1000) mg of Omega 3 polyunsaturated fatty acids (PUFA) was added to the daily food intake for 24 weeks for the two groups that took Omega 3 supplementation. In the first 12 weeks, exercise consisted of walking or jogging on a treadmill 25 to 30 minutes per day, 3 to 4 days per week, at 45 to 55% of their individually determined maximum heart rate (HRmax). In the second 12 weeks of the study exercise was intensity increased to 40 to 45 minutes per day, 4 to 6 days per week; at an intensity of 55 to 65% of maximum heart rate (HRmax). Blood samples were analyzed for serum TNF-alpha, IL-6, PGE2, estrogen, osteocalcin, 1,25- Vit D, CTX, PTH, CT, Ca2+, phosphorus, and fatty acid composition of neutrophil extracts. BMD measurements were made at the anterior-posterior lumbar spine (L2-L4) and the non-dominant proximal femur, including femoral neck, using dual-energy X- ray absorptiometry. Prior evidence indicates that both dietary fats and physical activity can influence bone health and alter inflammation. This study examined the combined effect of omega-3 PUFAs supplementation and exercise on BMD and inflammatory markers. Twenty-four weeks of aerobic exercise in combination with omega-3 polyunsaturated fatty acids supplementation synergistically increases L2-L4 and femoral neck BMD in healthy post-menopausal women. Inflammatory markers (TNF-alpha, IL-6) were reduced with omega-3 PUFAs supplementation alone and exercise + supplementation. Augmentation of estrogen, osteocalcin and 1,25 Vit D levels were seen after 24 week with exercise plus supplementation only. These findings clearly show that the combination of PUFA supplementation with aerobic exercise provides numerous benefits on bone density and inflammation over exercise alone or supplementation alone. Additionally this study demonstrated that the reductions in inflammatory markers were related to the increases observed in BMD. Although changes in bone turnover are slow, this study demonstrated that exercise plus supplementation resulted in a 15% increase in BMD in the L2-L4 region and a 19% increase in the femoral neck. Slight but non-significant increases in BMD were seen with exercise alone and with supplementation alone, but the omega-3 polyunsaturated fatty acids acted synergistically with the exercise to result in profound changes in BMD in a 24 week period in this cohort of post-menopausal women. Bone mineral Density changes seen by 24 weeks in the exercise and supplement group resulted in a significant increase in L2-L4 BMD and femoral neck BMD from the baseline. The other groups showed no significant improvement in femoral neck BMD with the intervention. Aerobic exercise training plus omega-3 polyunsaturated fatty acids supplementation was effective in reducing chronic inflammation and increasing BMD in postmenopausal women. These changes in inflammatory markers are related to indices that favour enhancement of BMD in healthy sedentary post-menopausal women. 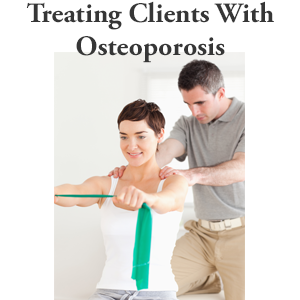 Further studies on the physiologic effects of omega-3 polyunsaturated fatty acids and exercise training on bone metabolism and bone quality to prevent or treat osteoporosis are needed. In the meantime, if you have not started supplementing your diet with Omega-3, I encourage you to do so!